A campaign to get the Revoke Article 50 petition up to 17 million signatures has been launched after a record-breaking weekend of political activism. 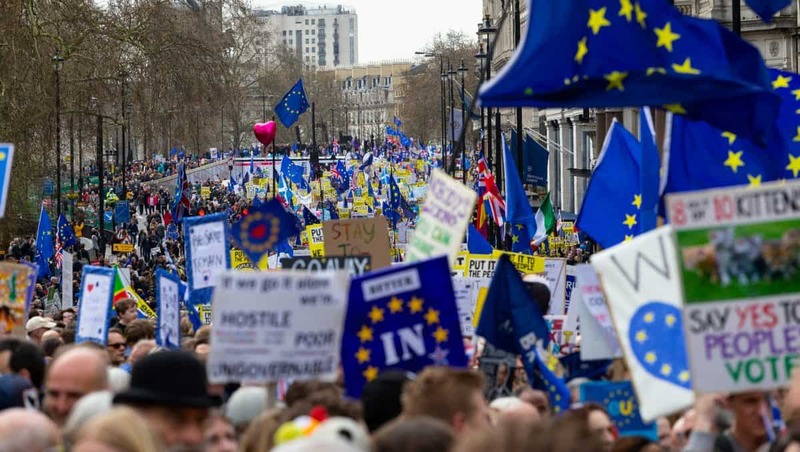 Over a million people were estimated to have joined the Put It To The People march in the capital on Saturday, with participants from across the country making their way from Marble Arch to Parliament Square. As the protests took place a record-breaking petition to revoke Article 50 soared past five million signatures with almost 5.5 million names put to it at the time of writing. In response to Andrea Leadsom’s sarcastic comments that it “should it reach 17.4 million respondents” before the government considers taking action a campaign has been launched to increase that tally by more than three times. The “17 Million Signatures” campaign details how the full number of signatures could be achieved. It advises that if each person who has already signed it undertook a mini-challenge to find at least three other people who haven’t signed yet and tell them about this campaign then it could hit the desired mark. Posting the campaign site on your Facebook/ Twitter timeline and any groups you belong to. And – Talk to people. At work, college, the pub, the gym, social clubs or wherever you meet them. I voted for Brexit, not for Messit – So Revoke Article 50 NOW ! Obviously thought that comment through!! As far as a second referendum being against democracy is just brexiteers fearing remaining winning. Every reporter has failed to challenge them why did we have another referendum when Britain had already had one to remain or leave the European Union in 1975… In which we chose to remain. “You are an absolute *disgrace*. You are one of the classic “I know better than you do” category of Tory MP’s, and frankly I feel *insulted* to have you as my MP. As I have said elsewhere, if you and your government continue on this *disastrous* course, you will go down in history as having caused the most damage to my country since the Nazi bombs of the Second World War.